It was nice to come home a little early for once! 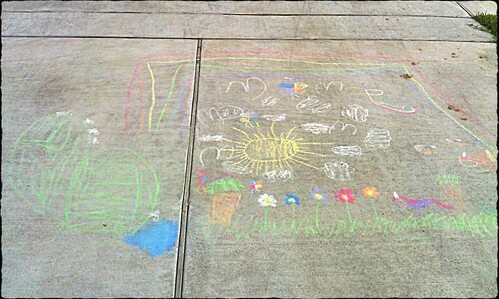 The neighbor's daughter and I worked up this master piece in their driveway before the rain cam down. There are mountains and goats, and a lake, butterflies, unicorn, a Pegasus, a parrot, snail and even a rainbow! !